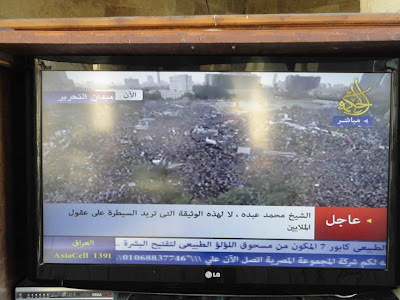 Finally, I landed on Tahrir square in Cairo, Egypt. get to go there later. Ignoring all the warnings we got from the Swedish Institute of being careful to go there for our security, most of us were determined to go. 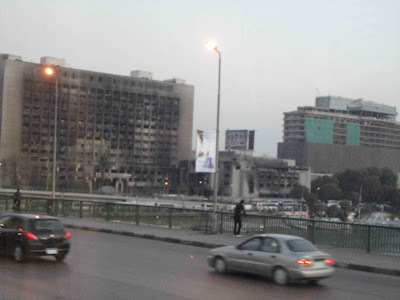 Before reaching the square; I saw the burned building that was part of the day of anger during the first days of the revo in Egypt. Then, the bus went on the same bridge that hundreds protesters were fighting security forces with their unarmed & peaceful protest. The buildings and spots are really memorable and the events are unforgettable. 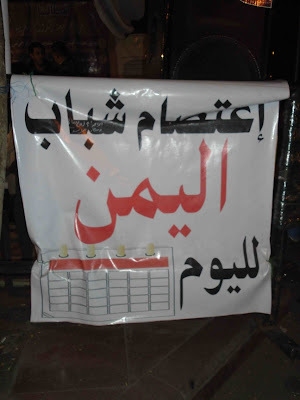 Then, I arrived to Tahrir square and my inner battle began. I felt the most intense mixed feelings. 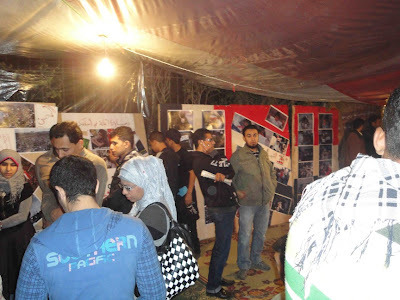 Right at the entrance, there was a tent for Yemen’s revolution. There was a photo exhibition for victims in Yemen; who were killed; wounded by security forces. I kept seeing the photos and felt the rush of all my blood. It touched my soul and heart. 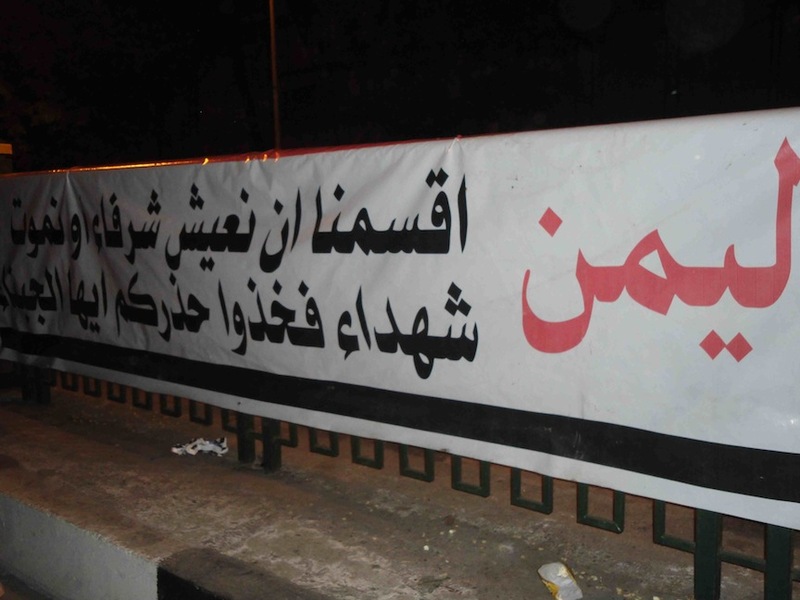 I was astonished of the new Arabian deep bond since Egypt’s revolutionaries were supporting Yemen’s revo for sure. I felt nostalgic for Yemen and Change square in Sana’a. It was an extreme emotional moment for me. I was very touched to see the big posters for Yemen. I really couldn’t hold my tears. I was very moved about the whole trip to Tahrir. Then, a dear friend told me; "This is good. we being touched and moved; is a great indicator of how really passionate we all are about our causes." 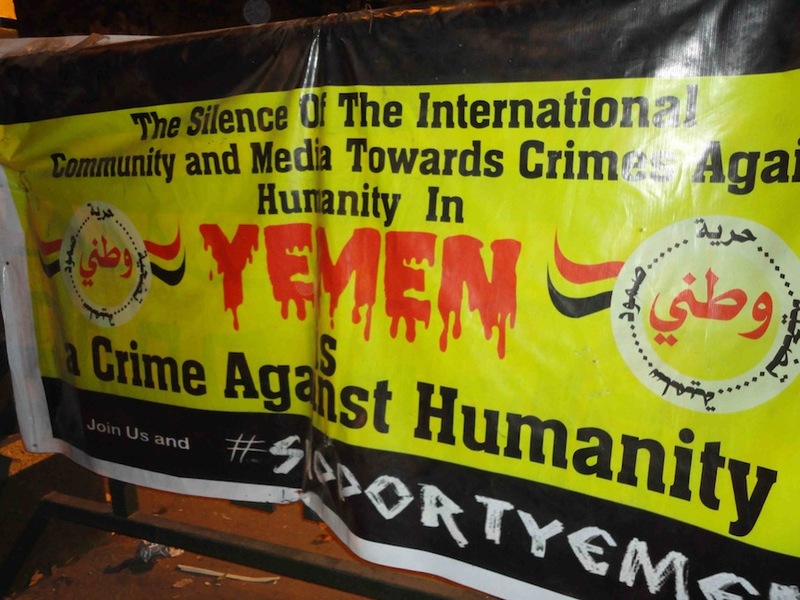 In all cases, it’s not only that Egypt’s revolution continuous, but also Yemen’s. Egyptians want the military to hand over the system to a civil one; and Yemenis’ want ouster of Saleh who seems not to leave at all. Both countries are still working to make it! 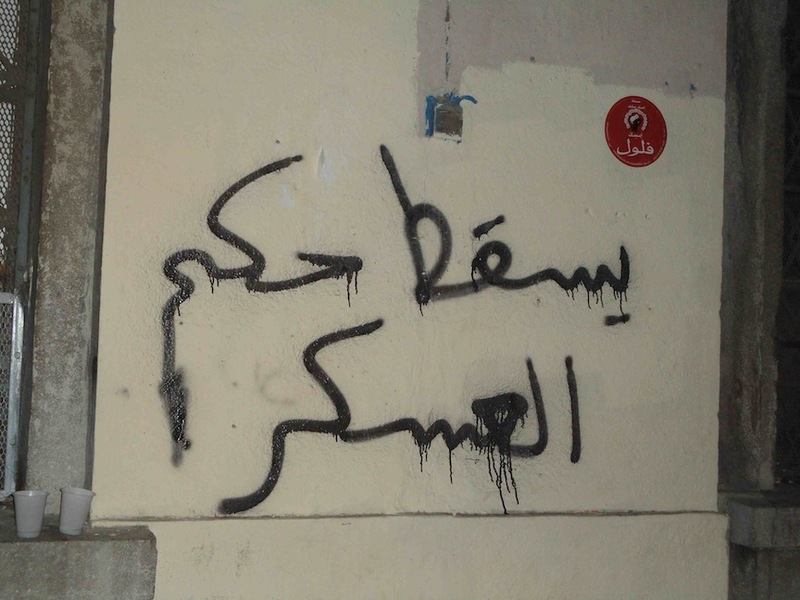 Till then, the revolutions are continuous.